Spending An Oslo Weekend Vacation With Your Children? If you are thinking about somewhere new and exciting that you can visit with the children, Norway is a wonderful destination. 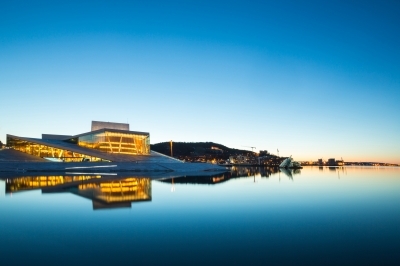 A weekend in Oslo is perfect, especially if you want to experience captivating visual delights, grandiose architecture, top-notch parks, and a myriad of other things. In fact, there is so much to do there, that you are spoilt for choice! TusenFryd is an enormous amusement park with thrilling attractions and games. Here you can meet up and take photos with characters around the park including: Squidward Tentacles, Patrick Star, and SpongeBob Squarepants; or take an exhilarating ride on the beautiful carousels or the wild roller coasters; visit a haunted house in 5D, or take a ride on a log. Another enthralling option is a visit to Frydskogen or the Barnas Fryd Water Park, where everyone can join in the activities and different rides. In the summer time Barnas Fryd Water Park offers swimming in the pool or river, rides on the super slide, and volleyball on the well kept beach. Additionally, there are a number of museums that offer organised activities for all the family, and offer many intriguing things for your children to enjoy and learn about. The Science Centre is fabulous for natural science and technology, and also houses the hugely popular Robot Centre and Planetarium. Popsenteret museum and visitor centre is another option: it occupies four floors dedicated to temporary and permanent exhibitions. It broadcasts the country’s popular music, and imparts information on the solo singers and groups from 1904 to the present day. Here there is an abundance of interactive and self-service musical things for you to try out and have fun with; and as Popsenteret is situated on Grünerløkka in the Schou’s Culture Brewery, you can also visit to the Music and Culture School. So if you think your family would benefit from a terrific new destination, Oslo is definitely the place. Not only will the children have fun, they will also learn about interesting things. There will also be countless opportunities for great family photos and videos!